Incredibox.com: Arrange your own a cappella beat box. Three different versions. It's Fun to Read: Music: A webpage with a cute little video and reading activity for different composers. The Yamaha Advantage: A set of games by Yamaha. Leo's Barnyard Baton: PreK-2 Designed for younger students. They can control Tempo and Dynamics. Isle of Tune: A sims style game where roadside elements are instruments & the cars are the players. There's an app too! TVO Games: Lots of music games. 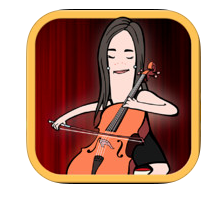 Music Racer: A game for kids in band or orchestra. Echo Time with Annie PreK-2 Two different games - the echo game (like the old handheld Simon game) or make an echo (they play the notes and the character sings). Orchestra Ocean Treasure Hunt PreK-2 They pick the instrument that was played. Chuck Vanderchuck "Something Something" Explosion: Jazz for kids. Sky Music: Put the Northern Lights in the Sky to make music. Auditorium: A visual representation of reflection and sound. Whack a Note: A way to practice note recognition. Warning: ADDICTIVE! 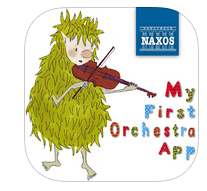 The Music Interactive: A music app developer. 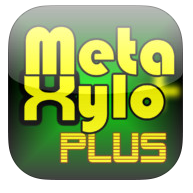 Not for use in the classroom, as apps must be downloaded. The Great Sky Race: Students navigate a plane through notes while they listen to classic works. World Music With Manny: A matching, listening game. 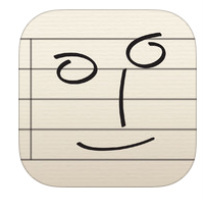 Notate Me Now: A free notation app for your iTunes device. 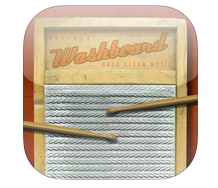 Washboard Companion: Exactly how it sounds! A free e-washboard instrument.